One of the women who accused NBC's Tom Brokaw of sexual harassment placed an ad in the Thursday edition of The New York Times shaming the network for its handling of sexual misconduct. 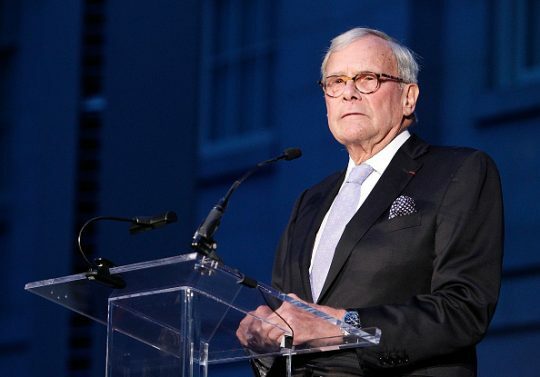 Former NBC correspondent Linda Vester told The Washington Post in April that Brokaw "made unwanted advances toward her on two occasions in the 1990s, including a forcible attempt to kiss her." A second unnamed woman also accused Brokaw of taking her into a closet and implying that he would help with her job search in return for sexual favors. NBC News offered to investigate the claims, but Vester declined to cooperate when the network refused to bring in a third-party investigator. NBC's investigation of the company's handling of harassment accusations against former "Today" host Matt Lauer was handled in-house, and concluded no NBC executives were guilty of wrongdoing. In the Thursday ad taken out a year after Lauer's firing, Vester and her nonprofit Silence Breakers Alliance directly addressed members of the Comcast-NBC Universal board of directors, asking, "When will the board end sexual misconduct at NBC News?" The ad continued, demanding NBC "hire outside counsel to conduct an independent investigation where people are safe to speak freely without fear of retaliation," "publicly disclose the investigation’s findings," and "end the use of nondisclosure agreements and forced arbitration in sexual misconduct cases." The ad comes the day after Vester penned a Fox News op-ed making the same demands and alleging sexual harassment was still an ongoing problem at the network. "The culture and management of NBC News continue to silence women, while parent company Comcast apparently does nothing …" she wrote. "NBC News may have conducted a limited ‘culture review,' but I continue to hear from women working there that harassment still goes unpunished, that they still face intimidation, and that they still fear for their careers if they complain." This entry was posted in Politics and tagged NBC News, Tom Brokaw. Bookmark the permalink.